The Facial nerve functions to power the voluntary mimetic muscles of the face. Besides conveying emotion, normal function of mimetic muscles provides corneal protection through blinking and oral competence via lip tonicity. Injury to any of the extra-temporal facial nerve branches may compromise one or all of these functions. Successful treatment of acute extra-temporal facial nerve injury depends on multiple factors. Better outcomes are associated with availability of proximal nerve stump, early timing of surgery, ability to effect a primary repair, and distal injury. Seventy-two hours following injury, neurotransmitter stores required for motor end plate depolarization are irreversibly depleted. This makes identification of distal nerve stumps via nerve stimulation more challenging although not impossible. Availability of the proximal nerve stump allows for the possibility of primary neurorrhaphy. When tension-free repair is unachievable, a nerve graft is required. Multiple nerve graft donor sites are available. These include Sural, Greater auricular, Lateral Antebrachial Cutaneous (LABC), and Medial Antebrachial Cutaneous Nerves (MABC). When the proximal nerve stump is unavailable, a cross facial nerve graft extending from a contralateral redundant branch of the facial nerve is utilized. Primary coaptation to the distal stump of the target nerve is performed if done early when the target muscles are still functional. Cross facial nerve grafts performed alone even in cases of early treatment usually don’t render complete recovery. In these cases it is preferable to perform these as part of a “babysitter” procedure. 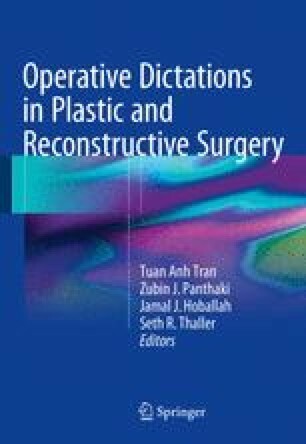 This chapter describes techniques for facial nerve repairs in the acute period using primary nerve repair and nerve grafts. More complex options for facial reanimation are described in the relevant chapters on nerve transfers, free functional muscle flaps, and regional muscle transfers.